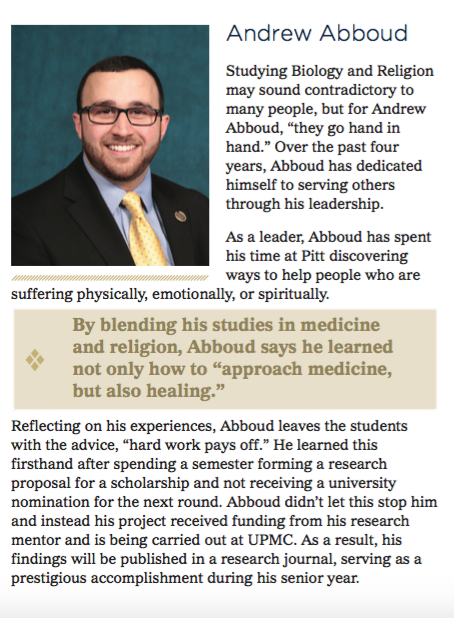 During my year-long internship with the University of Pittsburgh’s Division of Student Affairs, I craft press releases for an array of undergraduate activities. 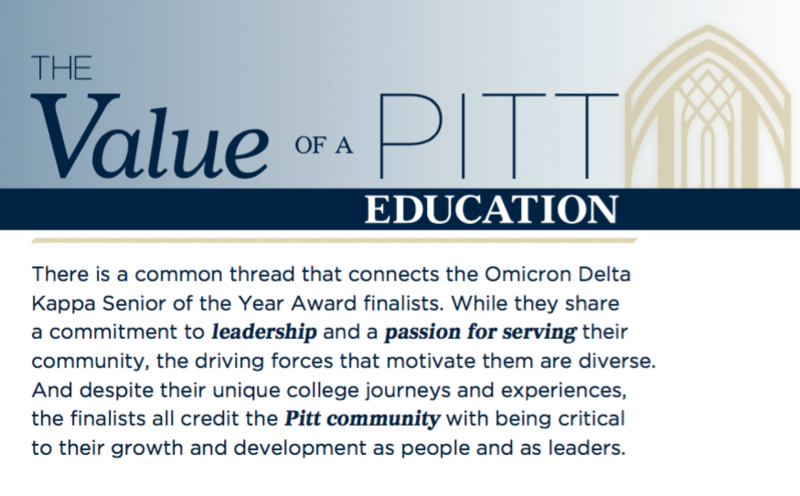 From the spring career fair to campus-wide philanthropic initiatives, my media materials are distributed internally to University publications, and externally to media outlets, including the Pittsburgh Post-Gazette and Pittsburgh Tribune-Review. I also co-created and crafted a weekly newsletter, Campus Connections, that is distributed to more than 19 thousand undergraduate students and hundreds of University faculty. I co-write, co-produce as well as appear in promotional videos broadcasted across the University's campus. Below are profiles I reported and wrote about the Senior of the Year candidates. 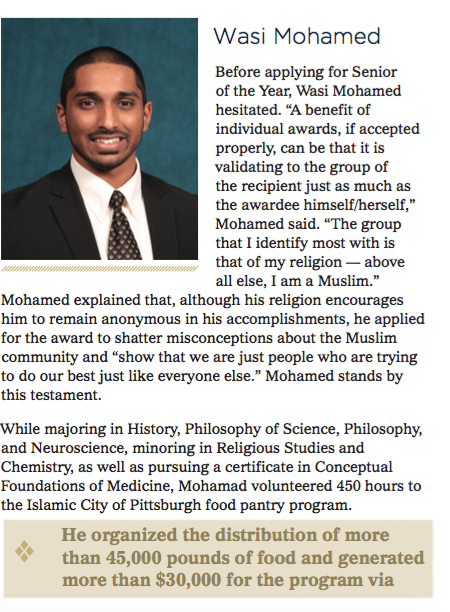 The profiles appeared in a pamphlet that was distributed at the University of Pittsburgh's honors convocation.